Thank you again to all of you for your awesome check-ins, feedback, energy and motivation. Our Facebook group was an extra-amazing place to be this past month. I was blown away by the photos, insight and support that these fabulous ladies shared with one another. Another incredible thing? Not ONE incident of negativity. I wasn’t really expecting any, but you never know… In this case, everyone has been truly awesome and I’m so stoked that you all enjoyed the Shape Up. More thanks to my friends Meredith and Megan for their mad workout skillz and energy, Grant for filming and editing the videos (I’m thrilled you guys enjoyed them because a lot of work went into creating them!) 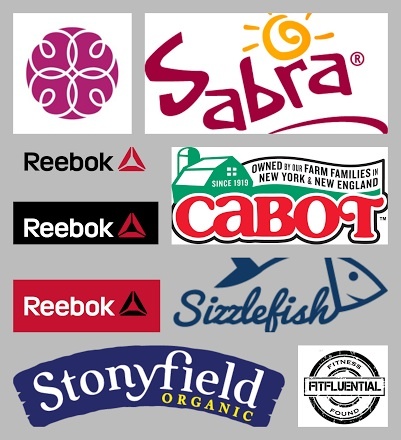 and to Black Belt 4 Life for the ability to rent their beautiful space. All winners have been emailed. You will love your new sneaks! So today I thought I’d share a snack I’ve been enjoying quite a bit lately: a take on the protein muffin in a mug. It takes 4 minutes from prep to plate. It’s extremely filling, since it’s a great combo of healthy fats, fiber and protein. Kind of hard to tell from the pics, but this baby has some height. Too big to make in a mug, so it’s actually better-suited to be microwaved in a glass bowl. It doesn’t look very promising at first, but with the melted chocolate chips + a drizzle of nut butter and/or maple syrup, it’s like a healthy protein-packed dessert. 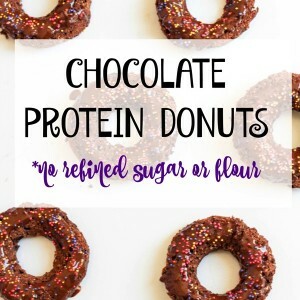 A decadent protein-packed treat, which is perfect for a post-workout snack, quick breakfast option or afternoon pick-me-up. 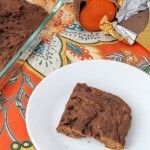 Enjoy with your favorite nut butter plus a little maple syrup to take it over the top. Spray a glass microwave-safe bowl with nonstick spray. Add all ingredients to the bowl and stir well. Microwave for 2 minutes until set and fluffy. What are you up to this lovely Monday? Have you tried a mug cake or easy protein muffin before? Here’s a vegan, gluten-free chocolate mug cake that’s one of my faves. 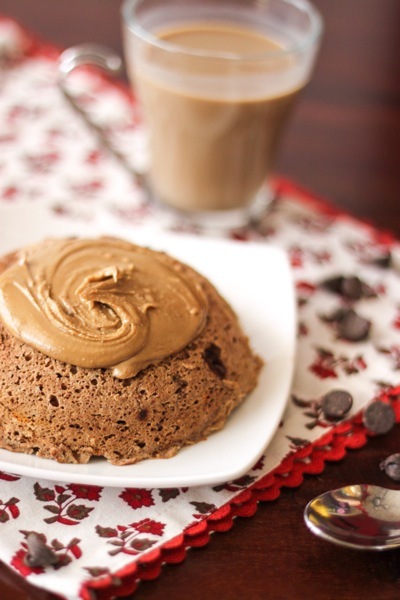 This grain-free, dairy-free mug cake is also delish! This looks very tasty 🙂 I have made mug cakes before but never a healthy one like this- definitely time to try it. Ooooh…I’m excited to try this out! This looks like a perfect easy and healthy breakfast option. Pinned! Microwave baking sounds like something even I could do! 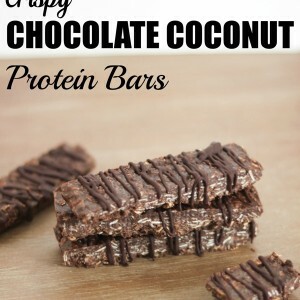 I would definitely try it with shredded coconut! Yum! I love mug cakes (or protein muffins 😉 ) because they’re so fast and easy to make- not to mention delicious. Gotta love chocolate! Baking on the microwave sounds like my kind of thing! I never tried it before bit definitely will now & this recipe looks like one to try for sure! I love the addition of apple sauce, I would never think to use that! These are great. I just saw them on FB and went to the pantry and VOILA! 4 minutes later i was eating this very delicious breakfast/brunch/lunch. 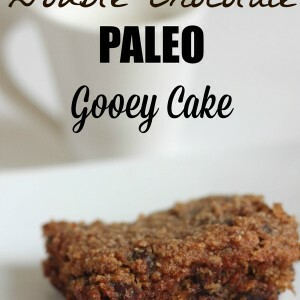 Love the whey protein , and i used whole wheat flour (didnt add the cocoa tho~ didnt have any!) Thanks and keep them coming!! I have to try the muffin ASAP!!! even though I was bad about checking in, I loved the Winter Shape Up, especially workout 4 🙂 Thanks so much for putting that together for us! 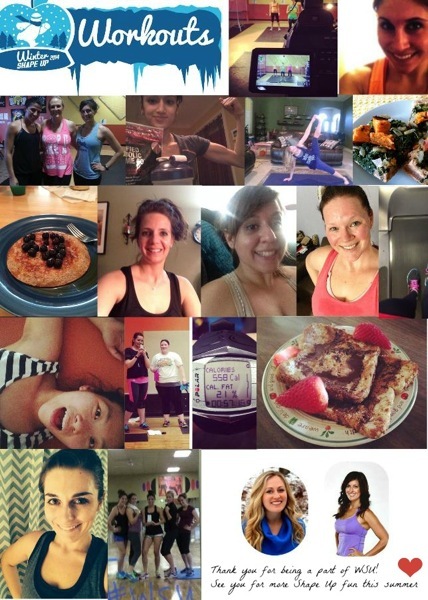 How could anyone be negative about a fabulous, free workout and meal plan? 🙂 It just kinda stinks when these things are over. I had to think about what workout I was going to do this morning X( Brain effort. Absolutely loved WSU! Thank you Gina and Anne! It really got me out of work out slump. You both were great motivators. I am going to continue on and make it 8 weeks. Work out 1 done today and a plank burner. 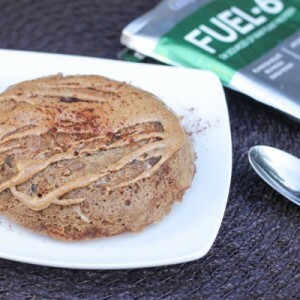 This protein muffin looks delicious! I will have to try it! The muffin looks great. I make mug cakes a lot. It’s great when someone here wants a treat. I love the individual servings cause then you don’t feel obligated to eat more than you want. Can’t wait to try it. Thanks to your recipes I have been doing a lot more experimenting with baking with protein powder in baking. Going to miss WSU but will use the plans, videos and recipes from now on and am looking forward to the summer shape up. Bummed I didn’t win the shoes! mhmmmmm, that sounds good. I find that the applesauce usually perfects the healthy mug cake, makes it nice and moist. Going to miss WSU but decided to just start it over, workout 1 on the agenda tonight! Recipe above looks great, I have been into mug cakes lately (a great chocolate one on Running with Spoons!) 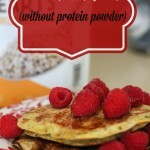 Question – Does 1 ‘scoop’ of protein equal about 2 tablespoons? Reporting back to you 🙂 It was delicious! Topped mine with a little almond butter, drizzle of raw honey, and had it with a little glass of almond milk! will definitely make this again. thanks for the recipe! These sound great, Gina! Thank you for sharing! I’m always looking for a quick, healthy dessert for one or two. I don’t want the leftovers in the house! This sounds great! I’m definitely trying it! 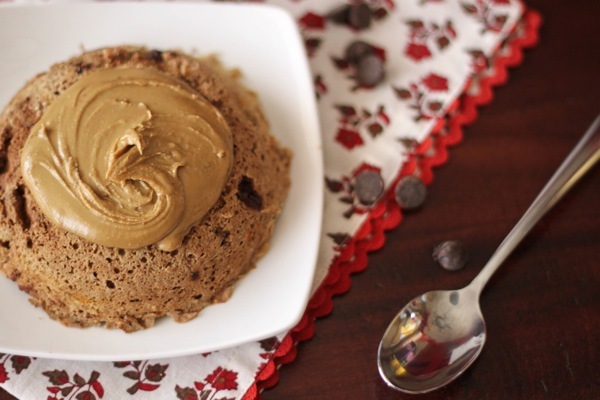 Mug cakes are one of my favorite things and what could be better than a protein muffin in a mug? Have a great week! This looks very tasty! Will have to go back to the recipe and try it. I’m obsessed with protein muffins. Yum!!!! is almond meal the same as almond flour? If not, where do you get your almond meal? Thanks. my trader joes used to carry it, but they stopped. 🙁 Thanks I don’t have money for a food processor or high speed blender…oh well. 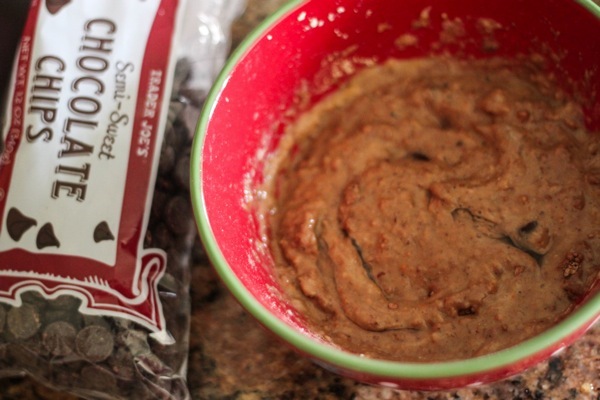 I made this after work using fava and garbanzo bean flour (I’m highly allergic to almonds and don’t have coconut on hand) and a whole bunch of chocolate chips (it was a bad day) and this was so good! Thank you for the recipe! The workouts were awesome! I definitely enjoyed the challenge 🙂 Thank you! When does summer shape up start? I need something to look forward to! Ha! Also, have you ever done a juice cleanse or have any thoughts about them? aaah why don’t I have any applesauce in my house right now?! Do you have pumpkin purée? I didn’t have any applesauce & used pumpkin instead. They pretty much work interchangeably. So good Gina! This is similar to one you posted before, no? I topped mine with raspberries & some melted crunchy biscoff spread. 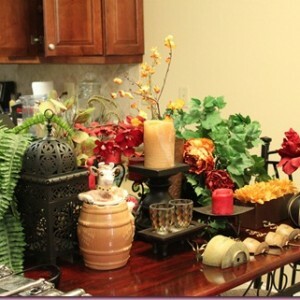 Love your blog/website. 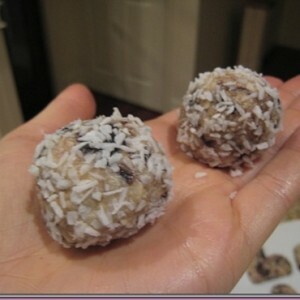 I just made this…Used a flax egg because I had no eggs and OOPS..forgot to add the stevia. It still turned out AMAZING. So yummy….Thanks! PS. I live in AZ…bummer that you are moving…but San Diego is fabulous too!! chocolate + pb = the best!!!!!! Made this for breakfast this morning and topped with a little peanut butter. Delicious with a warm cup of coffee, fire and some snow! Just made this today, Gina–thank you! Was looking for a relatively added sweetener-free, nut-free mug cake (I’m using shredded coconut and I think they don’t usually count as nuts?) and this is great! Do you know the nutritional count? I make one similar but it does not use applesauce. It is 1 TBSP of Coconut Flour, 1 TBSP Almond Flour, 1 EGG, 2 TBSP maple Syrup, 1TBSP vanilla ans 2TBSP Choc. chips. Microwave in mug. So good. I have such a sweet tooth so I wanted to see how many calories yours had in it. Whenever I plug it in on fitnesspal.com, it does not seem correct. Been snacking on this muffin the past few nights! Yum!